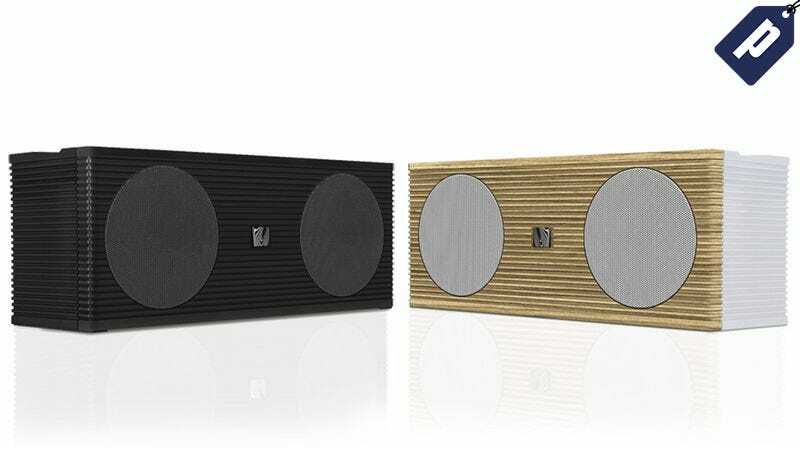 Soundfreaq is known for their well-designed, high-quality bluetooth speakers. The Double Spot model offers big, clear sound quality in a portable design that’s perfect for at home or on-the-go listening. It retails for $150, but you can get one today for nearly half-off - just $79.99 + free shipping. The Double Spot is small in size - only about a foot long - but its dual stereo drivers can easily fill a room with hi-fi sound. It also makes for a great travel speaker with a 6 hour playtime, rechargeable battery, and built-in USB port. The Double Spot comes in two colors (black or white/wood), and includes free 1-2 week shipping to the US. Hit the link below to grab yours for nearly half-off today.